Is Your Depression From an Auto Injury? 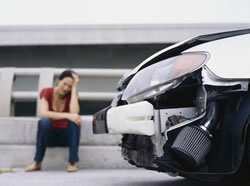 Have you been feeling depressed after you suffered from an auto injury? Did you know that depression can be considered an effect of auto injury if it happens after an auto accident? Often, people believe that depression is something you can control. After all, it’s your mind, and you ultimately have control over the thoughts that you are thinking. However, depression is a condition that can be related to an auto injury such as whiplash, so it’s important to tell your Portland chiropractor, Dr. Helton if you are feeling depressed. Did you find that you had several of the associated symptoms of depression? Did these occur after your auto injury? You should know that 52% of people who developed whiplash as an auto injury in a study in Canada were found to also develop depression. And if they had anxiety, they were three times as likely to become depressed as those without anxiety. Talk to your Portland chiropractor about your depression. Sometimes depression is a sign that your C1/C2 cervical vertebrae is out of alignment, and this commonly occurs in an auto accident. Although chiropractic is not a "cure" for depression, Dr. Helton can help you in at least two ways. First by helping you recognize whether you could be suffering from depression so you can be connected with adequate mental health treatment. And second, by eliminating at least one major source of your anguish, pain, through effective, non-invasive means. Don't live in the shadow of your car accident forever. Schedule an appointment in our office in Portland, OR today! Phillips, L.A., Carroll, L.J., Cassidy, J.D., and Cote, P. Whiplash-associated disorders: who gets depressed? Who stays depressed? European Spine Journal 2010; 19(6):945-956. Call our office at (503) 771-1974 for an appointment today!